Congratulations to tour winner Maryam F. and to host winner The Avid Reader. 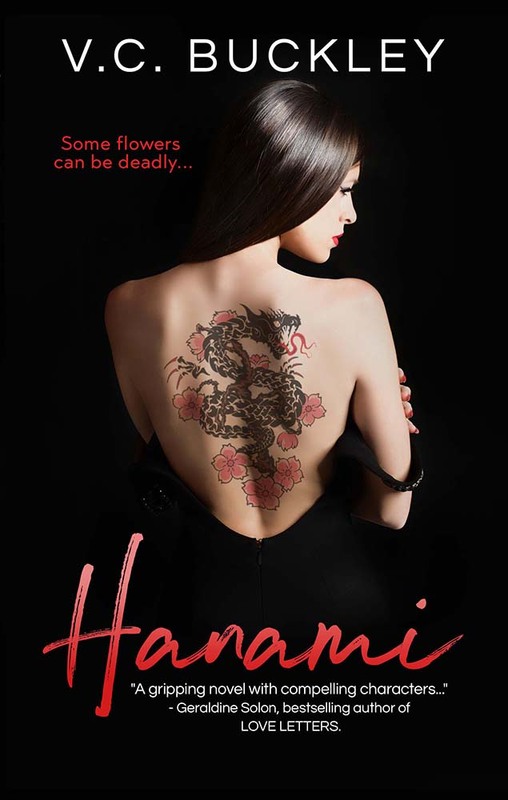 Goddess Fish Promotions is organizing a Virtual Name Before the Masses Tour for Hanami by V.C. Buckley, a New Adult romantic suspense available now from Passion in Print Press. The tour will run every Monday for 17 weeks starting on December 11, and V.C. Buckley is available for guest post and interviews. A PDF copy of the book is available for review in conjunction with a guest post or interview. V.C. Buckley will be awarding a $10 Amazon or Barnes and Noble GC to a randomly drawn winner via rafflecopter during the tour, and a $10 Amazon or Barnes and Noble GC to a randomly drawn host. SAKURA SHINTANI is the Dragon Clan heir-Japan's most notorious crime dynasty. But can she keep this fact a secret from the prying brats of Oniyuri Academy? She tries to stay out of their radar while mastering her demons and keeping her murderous temper under control, but having the face of an angel only attracts everyone's attention... including the arrogant heir to Asia's most powerful tycoon, KENJIN KIYOHARA. He senses the danger, but Sakura is too interesting to be left alone. January 29: Archaeolibrarian - I Dig Good Books! I'd love December 18, please and thanks! For a guest post topic, I'd love any "Fun Facts/Behind the Scenes/Did You Know? "-type info about V.C., the book itself or the writing process of the book! Laurie's Thoughts and Reviews can host an Interview (or GP) on January 2nd. I'd like to host on Jan 15th with an interview at Reviews and Interviews. thank you! I can host a guest post on Sharing Links and Wisdom on Feb. 5. I would like to host on February 12 @The Avid Reader with an interview. I will be glad to host on any date. I'd be happy to host on any open date. Thank you! BooksChatter can host 26 February with author interview.